Pulitzer Prize-winning New York Times reporter and former Marine infantry officer C. J. Chivers has been covering the wars in Afghanistan or Iraq since their beginnings, back to being on scene minutes after the first passenger jet struck the World Trade Center in 2001. 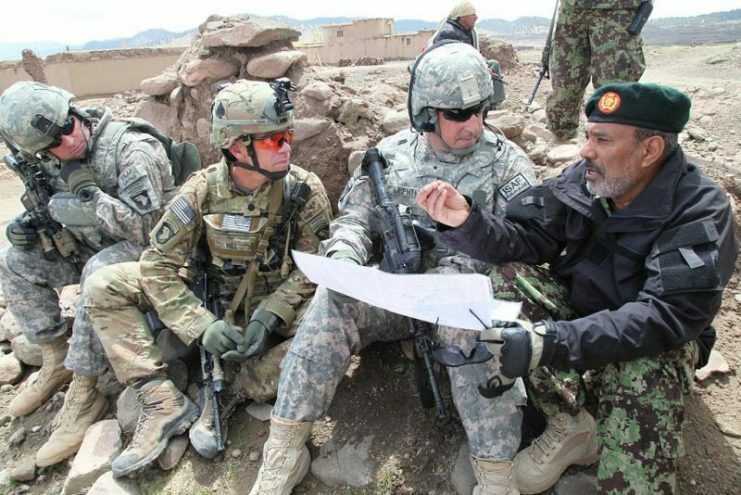 In 2009 he was part of a team that won the Pulitzer Prize for International Reporting for coverage from Afghanistan and Pakistan, and in 2017 he won the Pulitzer Prize for Feature Writing for his New York Times Magazine story about a veteran suffering from PTSD who was jailed after returning from the Afghan war (link). That veteran was released from prison based on Chivers’ work. 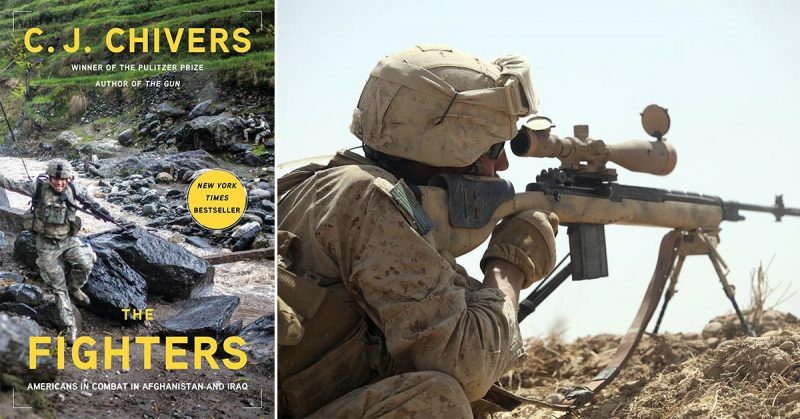 With The Fighters: Americans in Combat in Afghanistan and Iraq (Simon & Schuster; on sale August 14, 2018), Chivers returns to his subjects to follow the long human arc of the two wars by tracing the lives of six American service members over seventeen years. The result is an unvarnished account of modern combat, and its legacies and effects. 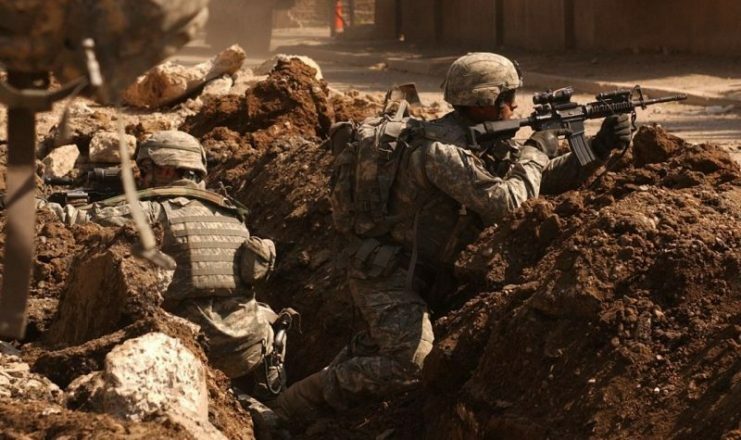 More than 2.7 million Americans have served in Afghanistan or Iraq since late 2001. Many were in both wars. Nearly 7,000 of them died, and tens of thousands were wounded. Chivers has accompanied troops over many years and repeated tours, developing a deep understanding of war in our times. In The Fighters, he vividly conveys the physical and emotional experiences of combat as lived by archetypes of some of the American military’s most demanding roles: a strike fighter pilot (Layne McDowell; U.S. Navy), a trauma medic (Hospital Corpsman Dustin (Doc) Kirby, U.S Navy), a scout helicopter pilot (Chief Warrant Officer Michael Slebodnik, U.S. Army), a grunt (Specialist Robert Soto, U.S. Army), an infantry platoon commander (Lieutenant Jarrod Neff, U.S. Marines) and a Special Forces sergeant (Sergeant First Class Leo Kryszewski, Army). 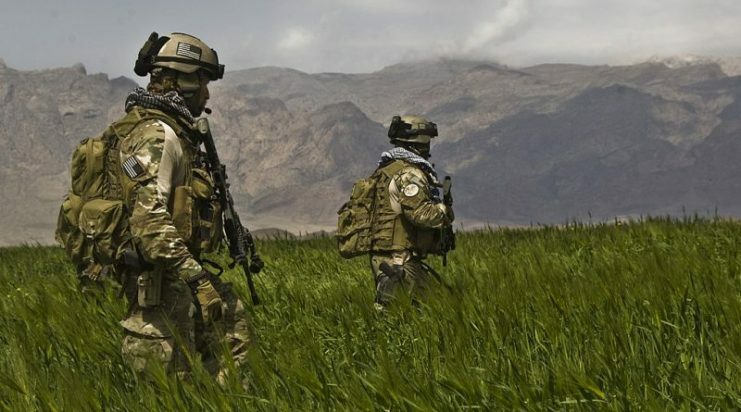 U.S. Army Soldiers in Afghanistan – May 2011. The preface conveys one of the work’s primary aims: “This book covers these combatants with a simple organizing idea: that they are human. It details personal experiences: what these experiences were, how they unfolded, and what effects they had upon those who were there. And it covers them from their own perspectives, offering their own interpretation of their wars.” (page xxi). In a narrative that gathers momentum and intensity with the passage of years, The Fighters captures its characters’ courage, commitment, sense of purpose, and ultimately their suffering, frustration, and moral confusion as they serve through the conflicts’ escalating phases. 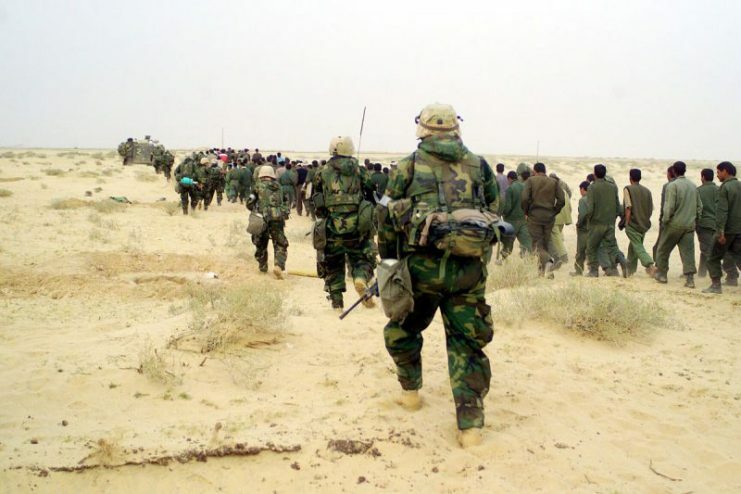 New enemies arise as invasions give way to occupation and then counterinsurgency duties, for which American units often were often not prepared. By telling the stories of those who were there, Chivers remembers that national failures and individual experiences, while inextricably linked, are distinct. He defines the circumstances under which a generation has fought. “These American veterans confront something pernicious but usually invisible: the difficulties of trying to square their feelings of commitment and willingness to serve with the knowledge that their lives were harnessed to wars that ran far past the pursuit of justice and ultimately did not succeed” (page xxvi). 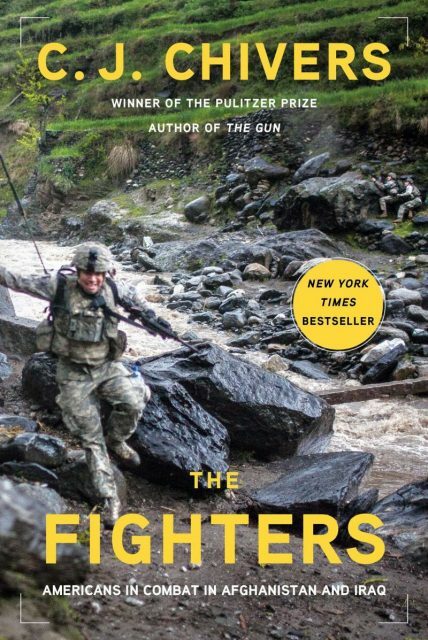 The Fighters is a tour de force, a portrait of modern combat that parts from slogans to do for these troops what Stephen Ambrose did for the G.I.s of WWII and Michael Herr for the grunts in Vietnam, presenting a human side of America’s longest wars, told with the empathy and understanding of an author who is himself an infantry veteran. With controlled, propulsive and finely detailed writing, it is an alternative history of the wars, assembled through intimate and powerful accounts that cohere into a binding narrative of a period of unending war. C.J. Chivers is a correspondent for The New York Times and a writer-at-large for the New York Times Magazine. His magazine story “The Fighter” won the 2017 Pulitzer Prize in Feature Writing. In 2009 he was part of a team that won the Pulitzer Prize for International Reporting for coverage from Afghanistan and Pakistan. Chivers served as an infantry officer in the United States Marine Corps in the Persian Gulf War and on peacekeeping duty during the Los Angeles riots. He is the author of The Gun. Visit him at: http://cjchivers.com/; Facebook: @Chivers.CJ; Twitter: @cjchivers. Audio CD: 9781508264422; eAudio: 9781508260936.